At some point you may need to flash the firmware on a Generation 1 Obelisk miner. Firmware is permanent software that lives on a device in read-only memory. It usually performs very important functions like turning your device on or off or interfacing with other devices. Reinstalling the firmware on a device is called flashing the device. 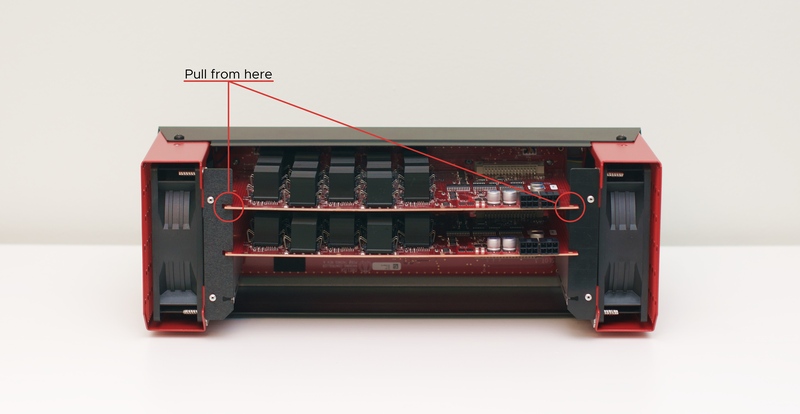 For Gen 1 Obelisks, you'll need to disassemble the unit to access the control board inside. You'll use a microSD card loaded with the right files to flash your Obelisk and reload the firmware. We recommend fully reading these instructions prior to starting. Give yourself at least half an hour – you'll be taking apart the device during this process. The first thing you'll do is create a microSD card with an image of the Obelisk's firmware. The Obelisk can automatically detect this new firmware and reflash itself. First, you'll download the correct flash file for either your SC1 or DCR1 from the Obelisk downloads page. Scroll down to the SD Card Images section, and download the appropriate file for either your SC1 or DCR1. Do not download and flash the Obelisk Scanner file. Be sure to download the SC Card Image for the following process. You can't just drag and drop the file onto the SD card. In order for your Obelisk to properly read it you'll need to burn the file onto a microSD card. We recommend using Etcher, which is available for Mac, Windows and Linux, however, you are free to use any equivalent tool. Here's a walkthrough on using Etcher. First, you need to get to the control board inside the Obelisk. Specifically, the bottom of the control board where the microSD card slot is. The control board is located at the bottom of the miner, and both the hashing boards and fans connect directly to it. 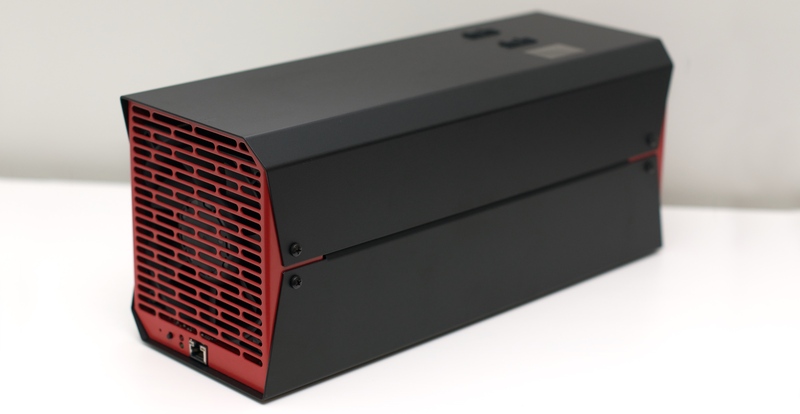 Because of this, you'll need to open the miner and disconnect some of the internal components. ESD Warning: In these steps, you'll be opening your Obelisk and touching internal components. You must follow proper ESD safety, or you risk damaging your unit. Unplug the power cables from the top of the miner. Unplug the Ethernet cable form the front of the miner. Remove the four top case screws. There are two on each long side of the device. Take the top black cover off. This will expose the device internals. Remove the hashing boards from the device. This can be done while the Obelisk is standing normally, or laid on its side. Gently grasp both ends of the board, taking care to not damage the board components. A good place to hold is the ends of the board, near the black cutouts that the board slots into. Pull it away from the Obelisk, slowly wiggling the board if necessary. The hashing board will disconnect from the Obelisk. Place the hashing board on a clean, ESD safe surface. Take care to not damage this board – this is where all the mining actually takes place! Our next step is to remove the front fan assembly. You can easily differentiate the front and rear fans because the front fan has the Ethernet port, lights, and button. 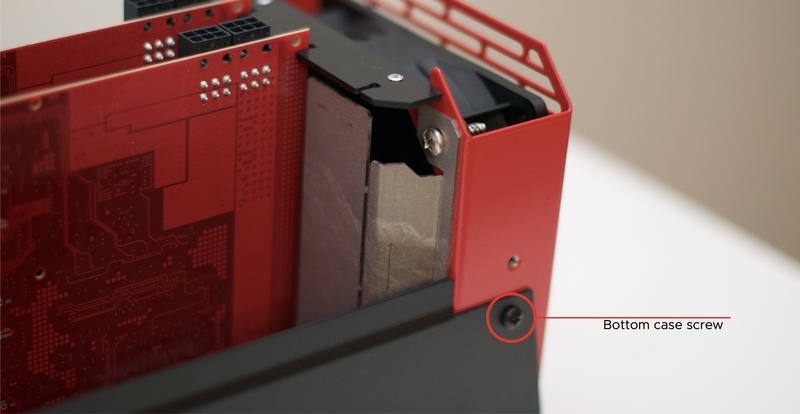 Remove the two bottom case screws that hold in the front fan assembly. 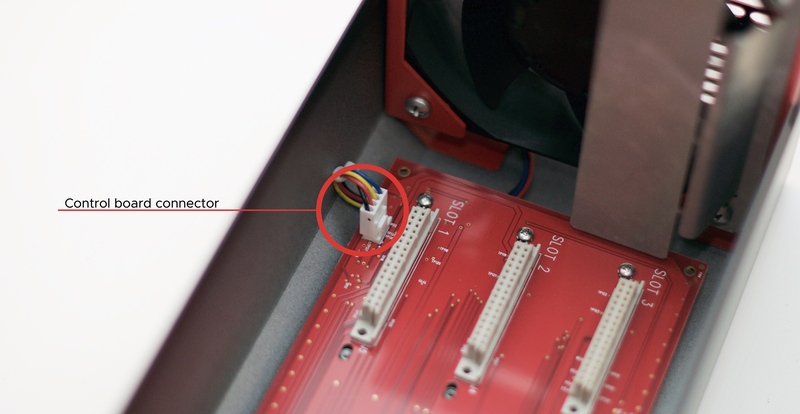 Once you remove these screws, the fan assembly will move freely, but still be connected to the board with a cable. Note that while this image shows the hashing boards still installed, you should have removed them back in step five. Your next step is to remove the front fan assembly entirely. Unplug the connector on the front fan. You're disconnecting the fan's power cable from the control board (the red board at the bottom of the Obelisk). Now you need to disconnect the rear fan cable from the control board. Unplug the white control board connector just like you did for the front fan, but you can leave the fan assembly attached to the black case. Unscrew the control board from the case. These are the five silver screws seen in the previous two images. Three are next to the control board connector at the rear fan, two are near the control board connector at the front fan. Note that the three screws by the rear fan are different than the two screws at the front of the unit. The rear screws have small gripping washers on them, while the front ones do not. When reassembling, make sure to put the right type of screw in each hole. Remove the control board from the unit and place it on a clean, ESD safe surface. Take care to not damage this board. In addition to the microSD slot, the Obelisk has internal flash memory, where the firmware lives. Once the Obelisk detects the microSD card, it will copy the firmware from the card to the internal memory, reflashing itself. Flip the control board over and insert the microSD card. 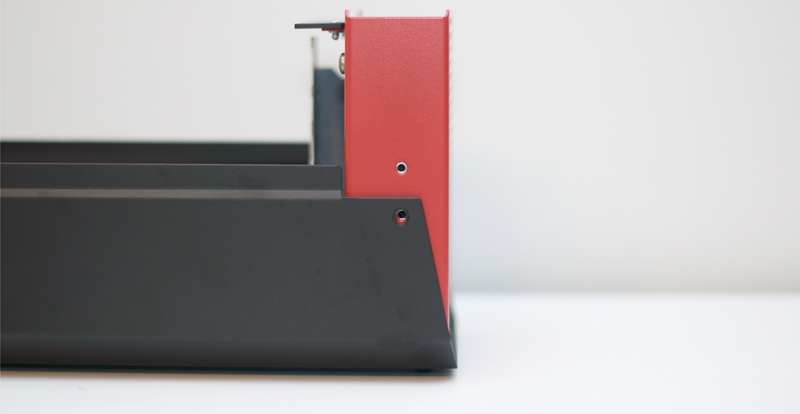 Flip the control board back over and place it on a flat surface or in the bottom of the Obelisk case. Do not reconnect it to the case with the screws yet. Insert one hashing board in Slot 1 and check that you can see the green and red LED lights on the front of the control board. With the PSU powered off, connect two of the power connectors from the power supply to the control board. After a few seconds, the red and green LED should start to flash alternately. The firmware is being copied onto the Obelisk. Once this is complete, the green LED should flash repeatedly and the red LED should be off. Turn the power off on the PSU and remove the power connectors. Remove the hashing board from the control board. Remove the microSD card from the control board. If you forget to remove the microSD card, the Obelisk will see it and reinstall the same firmware every time it powers on. If you've left the microSD card in and rebooted the Obelisk, the LEDs will start flashing again. You will need to go back to step 6 and wait for it to finish installing again. The most likely cause of an issue during this process is the microSD card not being imaged properly. Please revert to the beginning of this document for that process. Insert the control board into the bottom case and reinstall the five small silver screws. 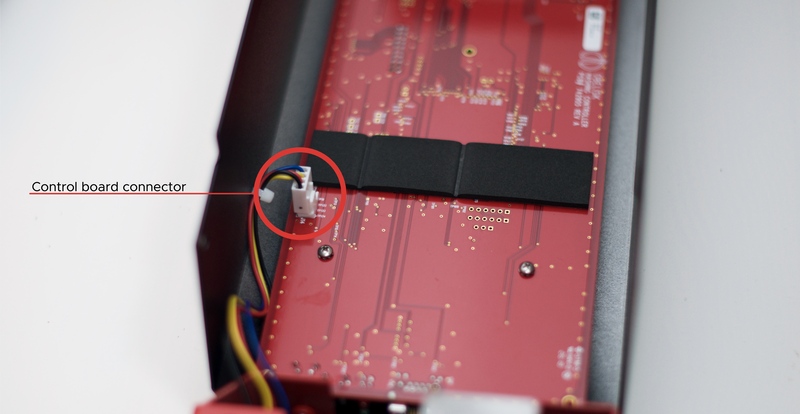 Your rear ran is still connected to the Obelisk case, so make sure the small fan cable is routed so that it can be plugged back in. Slide the front fan back into place being careful to ensure that the fan wiring stays to the side and does not interfere with the LEDs or switch on the front left side of the control board. Make sure that the LEDs, button, and Ethernet port fit through their respective holes, then reinstall the screws that attach the fan to the case. Reattach the bottom case screws. This will secure the fan assembly while you reassemble the unit. Carefully reattach the control board connector, making sure to not bend the prongs on the board. Reinsert the hashing boards. Use slot 1 if using just one board, slots 1 and 2 if using two boards, and all three slots if using three boards. 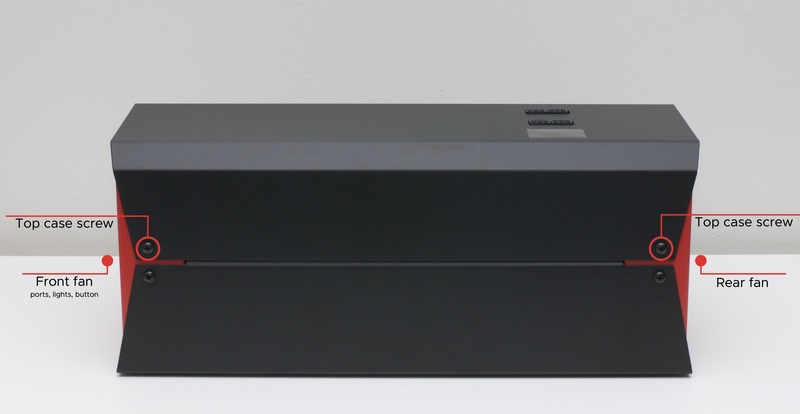 Place the top black cover back on the device. Reattach the four top case screws. Power on the Obelisk and get back to hashing!